He spun as he fell, his vision a strobe of dark and light: earthy, textured and shadowed below; bright, blue and smooth above. 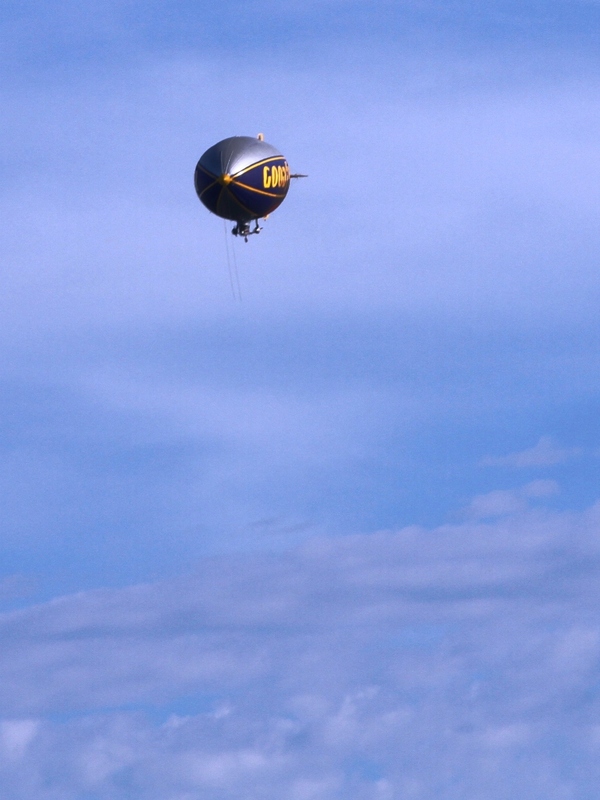 Except for the blimp, of course, slowly shrinking. Have a few brews, they said. Enter the contest, they said. View of a lifetime, they said! Well, it had been beautiful. But whose idea was it to stick a bunch of drunks in a tiny room suspended at fifteen hundred feet? Frankly, it just seemed silly now. He fell, wondering which of those fat bastards had bumped him — wondering what he’d see when his life finally flashed. This story is my response Madison Woods’ Friday Fictioneers prompt (the picture is the prompt). Check out the other stories (including Madison’s) and submit your own on the story page! 11.2 seconds was wonderful flash on flash. I really enhjoyed your take on the prompt, especially the description of his view while falling. Well done. Thanks Doug – I really liked the view of history you took with your story. Til next week! Thanks! I went pretty literal with it, obviously. I liked your more figurative interpretation. Wow, well written Brian, liked how you arranged and crafted this…good one! Nicely done and a great comment on how a bunch of drunks are a bad idea in the air or on the ground. Glad you liked it Carlos. The cultural take you have in yours is really interesting (and believable). Another good Friday! Oh wow. Perfect, especially when you realize what 11.2 seconds is referring to! I like the jumpy nature of your narrative here, Brian. Totally seems like the way your brain would work if you were falling and I enjoyed how he was resentful rather than fearful. Thanks – I tried to keep it lighter, haha, and yet there’s still a man falling to his death. Thanks for reading! Great flow in the thought process. I bet it was a reality TV show that came up with this stunt. Talk about thought process! The disjointed, funny take you have in your story was priceless. Really great job. Thanks for reading! Oh my….my fear of heights just got worse, thanks to you. Hmm, glad I could help? Just no drunken blimp rides, that’s all! Haha, thanks for reading. Sounds like he didn’t think it through. He’ll soon be playing a harp with a halo on his head. Whooooo, that left me with chills–well written, made my hair prickle on the back of my neck. Ever wake up from one of those dreams where you fall, and fall, and…? Well done! Fine friends he’s got! This was very realistic, especially the description of what he saw when falling, I could almost have been there. Nice work. he’s got great poise for the moment. did you do the math and work out 11.2 seconds x 32 ft/sec-squared? No chute? No bungee? No inflatable raft? He’s doomed! Whoa! Pretty cruel take on the prompt, but really well done, from the title to the final flash. Very good use of language, very visual, and very descriptive. 11.2 seconds probably seemed an eternity. I liked his query “…….wondering what he would see when his life finally flashed.” A very good take on the prompt! Great falling description. I cringe to think of the sudden stop at the end.